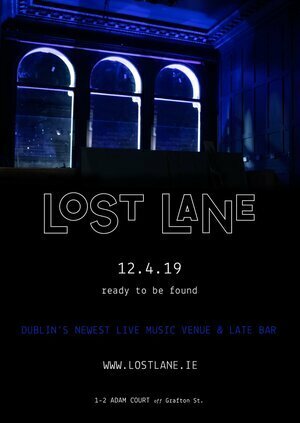 The launch of Lost Lane – Dublin’s new state-of-the-art music venue and night club on the site of the former legendary celeb haunt Lillie’s Bordello, beside Porterhouse Central off Grafton Street. The inaugural gig is headlined by multi-talented Choice Prize nominee Kormac, aka producer/DJ/musician Cormac O’Halloran. Later on at 11pm, there’s a free club night called ‘Spacer’, with key music blogger, influencer and journalist Nialler9 behind the decks, spinning electronica, disco and euphoric ‘80s sounds alongside Cian O’Ciobhain. Nick says: Stop crying at the memory of overpriced Twister Screwdrivers and oversized stilettos – Lillie’s is dead; long live Lost Lane! Posted in Misc and tagged Lillie's Bordello, Lost Lane, Yokes at 12:20 pm on April 12, 2019 by Nick Kelly. 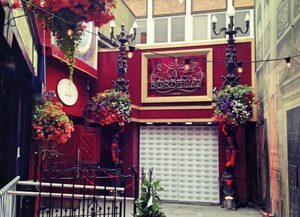 There’s a new nearly 300-capacity music venue opening up in the heart of Dublin city. 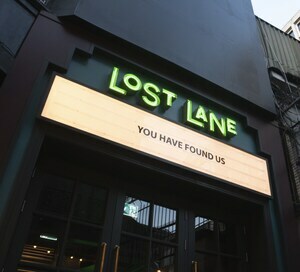 Lost Lane is on the same site as Lillie’s Bordello was, but the new venue has completely changed its vibe and audience demographic along with it. The venue will be hosting its opening night on April 12th with a gig from Kormac and our own Nialler9-run club night Spacer run afterwards. Posted in Misc and tagged Lillie's Bordello, Lost Lane at 1:19 pm on March 14, 2019 by Bodger. Rihanna leaving Lillie’s Bordello nightclub, Grafton Street, Dublin in da wee hours following her concert at Lansdowne Road. With a sweary message to her fans backstage. 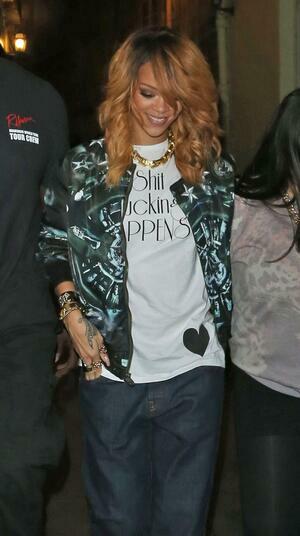 Posted in Misc and tagged Lillie's Bordello, Rihanna at 11:30 am on June 22, 2013 by Broadsheet.